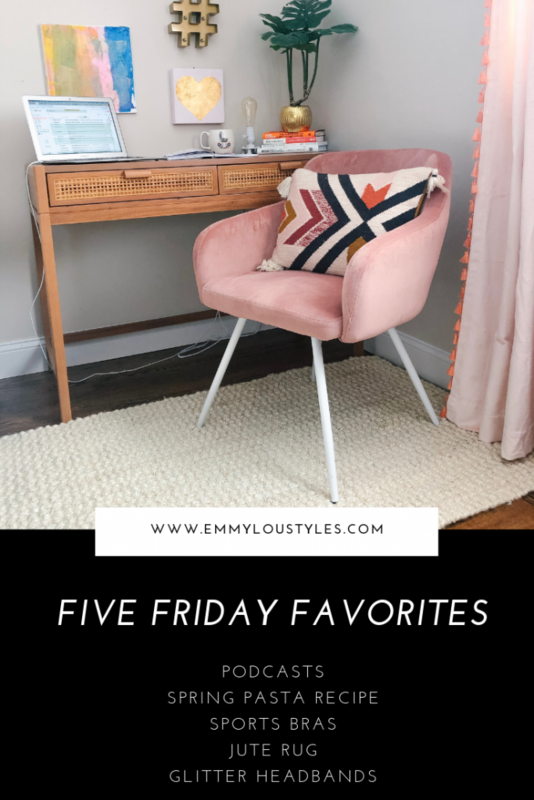 Welcome to the first edition of my 5 Friday Favorites! 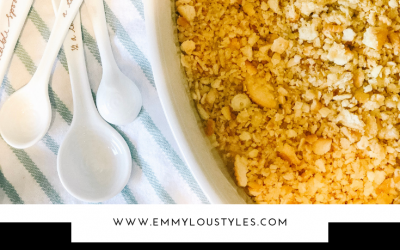 A new series about the random musings and things going on in my life and head + the latest recipes I’m loving to the must have jeans of the moment, you name it, and it will be covered in this post at some point. I’m hopeful this is a series I’ll bring to your inbox each Friday morning! Let’s get this party started! 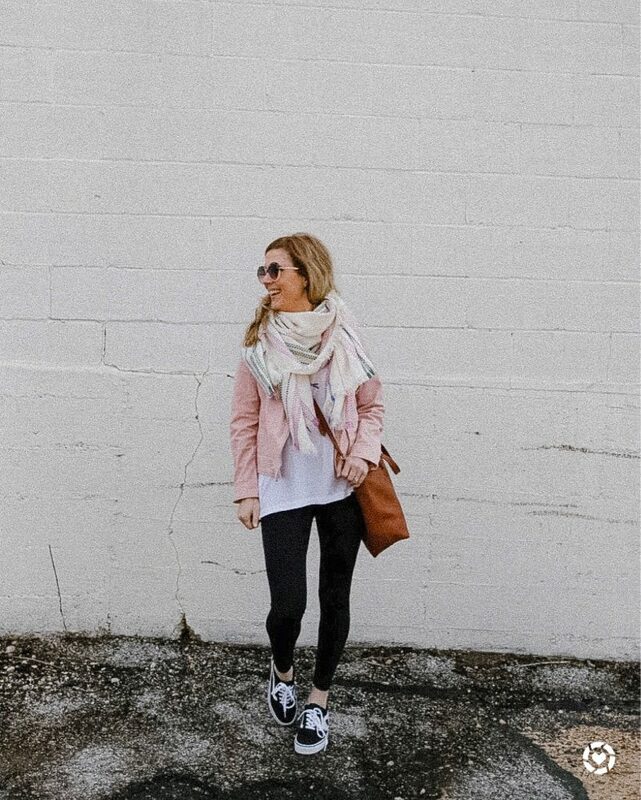 If you’re a woman in business who is juggling a full time career, family, side hustle, and life in general, then you must listen to Amanda Boleyn’s podcast called She Did It Her Way. I started listening to her about 3 months ago and I’ve been hooked. It’s likely because I felt like Amanda was spying on my life with the topics she was covering (i.e. badass babe who will tell you everything you need to know in order to ditch your 9-5). Each episode is about 30 minutes which I love because it’s the right amount of time to hold my attention. The topics are broken out in to super specific categories and she gets right to the point. If you are looking to make a career change, be sure to give Amanda a listen! 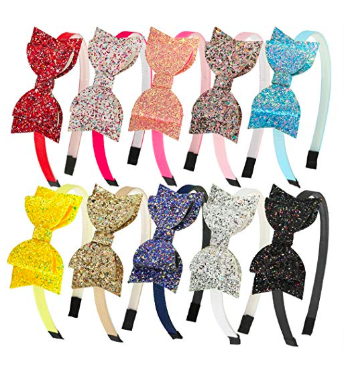 If you have a little gal, then she probably loves headbands lately. Layla has been obsessed with wearing headbands … I’m talking even like little cat ear ones from Halloween. I snagged these for her Easter basket on Amazon and thought some of you may want to grab them too! 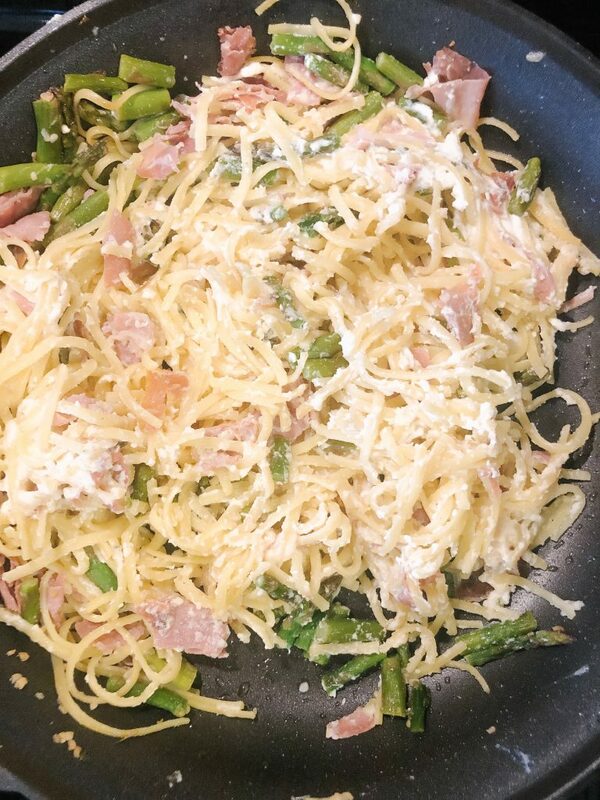 Transfer your cooked pasta to the saute pan with asparagus + prosciutto and begin to add the ricotta cheese and parmesan cheese and mix all ingredients together for 3-5 min. If you’re on the hunt for some new sports bras, look no further. This 3 pack on Amazon is the deal of the century and comes in a million different color combos and sizes. 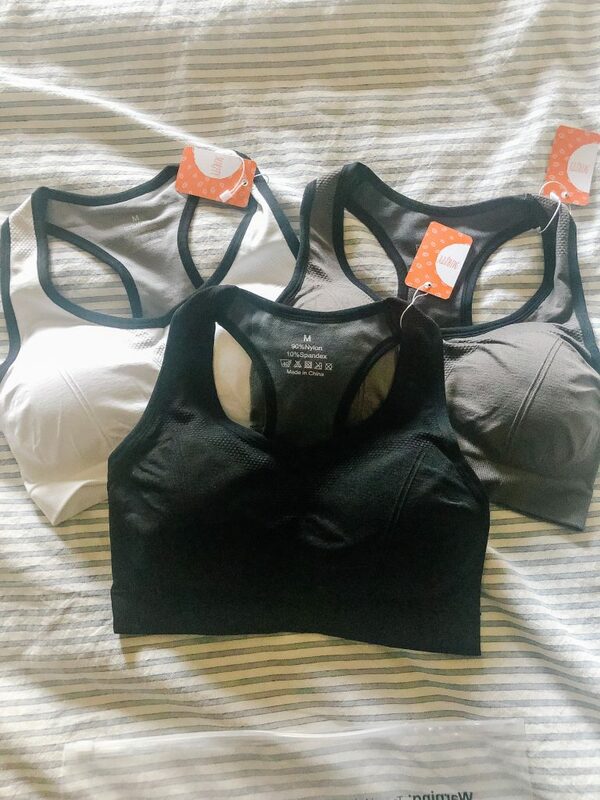 If you’re larger chested, these bras are a winner! Promise! 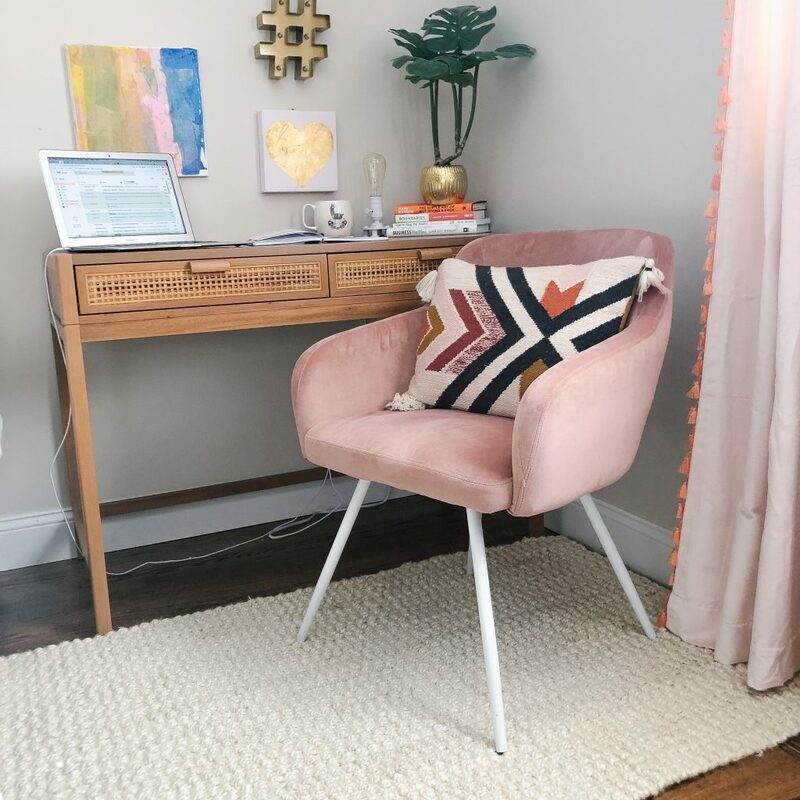 If you’re looking for a rug and not finding one you love, choosing jute is always a great option. I’ve been looking for a small 3×5 rug for my office to go under my desk in the little corner I’m in. I’ve come home with a few different ones but none that I loved. Once I finally got a chair, I decided that the rug just needed to be pretty plain. And honestly, you can’t go wrong with jute. World Market has a TON of options and this little 3×5 number is under $70. Side note, my desk nook is a work in progress. I swear there aren’t enough hours in the day!